It started with a bit of a scratchy throat Monday night that culminated in a bed-ridden Tuesday, Wednesday and Thursday with sweaty chills, achey joints, and some nasty stuff being expelled from my throat and nostrils. My fever broke Wednesday night, and today, while I’m feeling TONS better, I’m a little weak and pretty stiff from laying down for that long. I don’t often get sick, and when I do, it’s usually for no longer than a day or two, so this illness had my climbing up the walls. Apparently there’s something going around, and I hope you all are staying healthy, because I wouldn’t wish what I just experienced on my worst enemies! Upward and onward. I hope you all will come out to the Piedmont Farmer’s Market on Winecoff School Rd. tomorrow from 9am til noon! 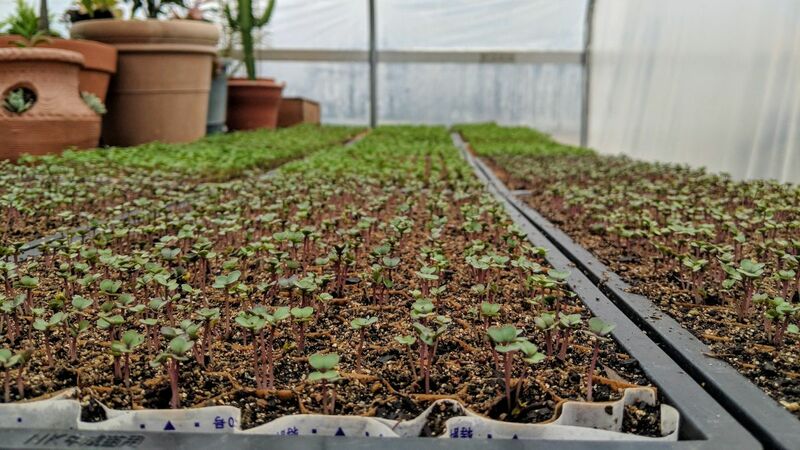 I’m going to stay at home to try to catch up on some of this work, but Hans will be manning the booth, slinging some Pea Shoots, Radish Shoots, Sunflower Shoots, Brassica Shoots, Arugula Shoots, Micro Mix, Basil Shoots, and a boat load of Eggs! Eggs are back with a vengeance, you’ll be happy to hear, so come out and see us! Have a great weekend everybody. I want to also say a special thanks to all who responded to my plea last Sunday for CSA shares! I hate asking for help, it’s a problem that I’m working on getting over, but as they have said in agricultural communities for generations now, it takes a village! Shares are still available for purchase, and I implore you to go ahead and jump on the Street Fare Farm train sooner rather than later, it’d help me out a great deal! Thank you, and be well!